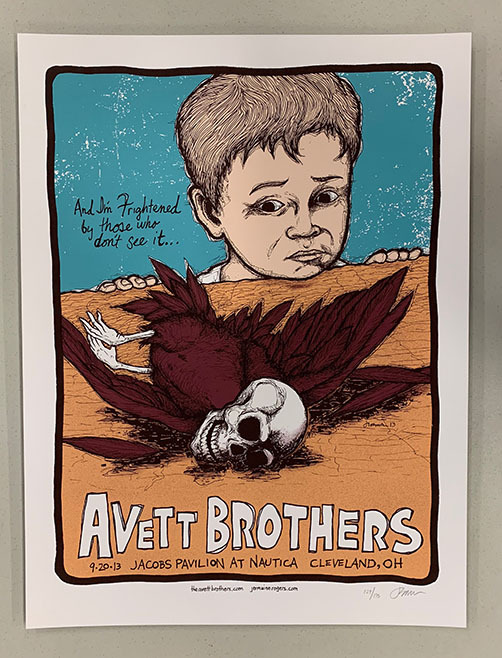 Original silkscreen concert poster for The Avett Brothers at Jacobs Pavilion at Nautica Cleveland, OH in 2013. 18 x 24 inches. 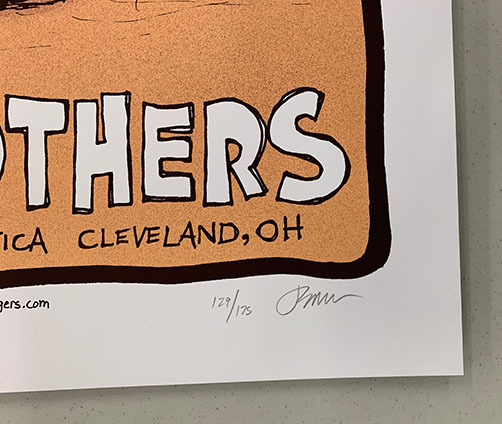 Signed and numbered 129/175 by the artist Jermaine Rogers.